Backing up your accounts file is very important. MoneyWell 3 maintains up to 3 months of backups of your accounts documents, but this is not a substitute for your own backup system. Ideally you should have a backup on an external drive incase the drive in your machine fails, as well as a remote backup, preferably out of your house, to guard against the loss of your data due to theft, fire or some other disaster. While the menu is open press and hold the Alt (⌥) key. This will add an additional "Library" menu choice - select that. 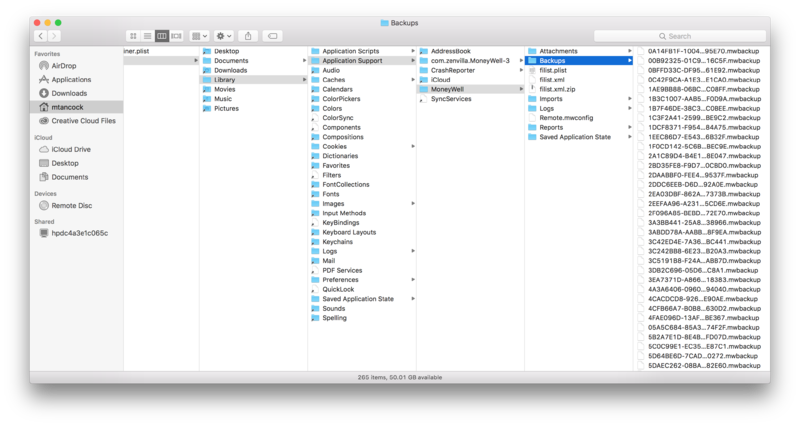 Change Finder's display mode so that you can sort these files. 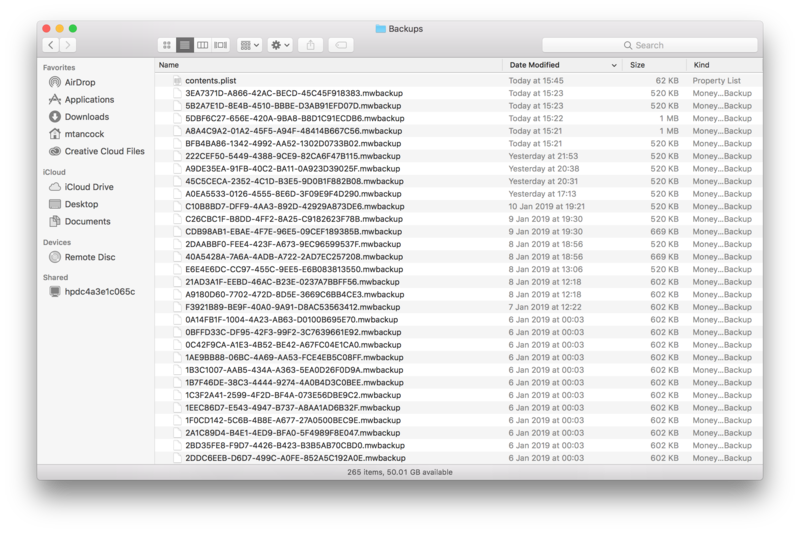 Find the mwbackup file closest to the last known time when MoneyWell was good/accurate/up-to-date. Copy the file to a location such as your Desktop. 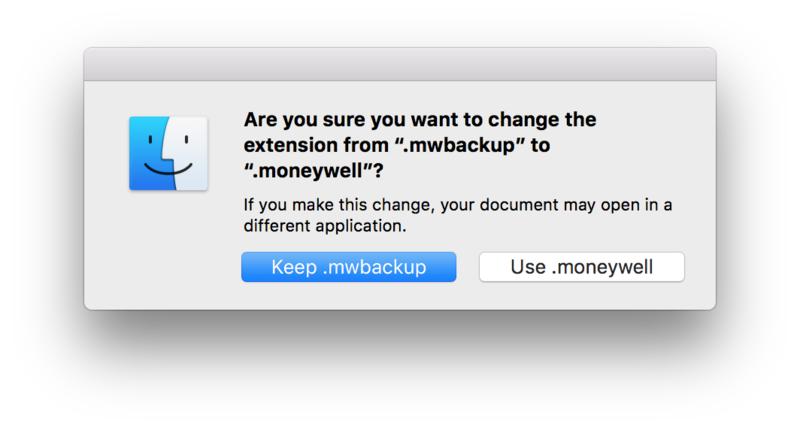 Rename the file to something like "Backup.moneywell" (You may be prompted about the rename, asking if you're sure you want to change the extension to .moneywell. You do, so so choose "Use .moneywell". Attempt to open the file. (Open MoneyWell while holding shift (⇧) to prevent it opening any previous document, then go to File -> Open and find your newly restored document. If the file isn't the right one (too old, too new etc.) you may need to repeat the process a few times to locate the correct one. Once you've located the correct one, move the document into your Documents folder, or wherever you normally store your MoneyWell documents.